As a participant in Divemaster Academy Program you will be able to fully immerse yourself in one of Australia's world-renowned coastal destinations. 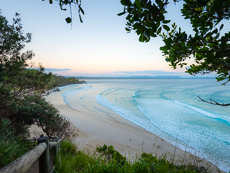 Byron Bay boasts kilometres of unspoiled beaches, world heritage national parks, a truly laid-back vibe, and a diverse culture embracing a full range of eclectic locals and travellers alike. An international hot-spot, Byron provides something for everyone on every budget. 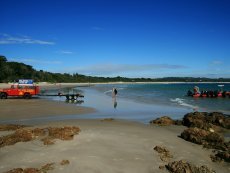 Byron offers a myriad of adventure activities such as surfing, sea kayaking, mountain biking, and sky diving as well as a relaxed open air café culture, fine dining, live music and hopping nightlife! Whatever your preference, you will be able to fill your days and nights exploring this famed region in depth before, during, and/or after your program. 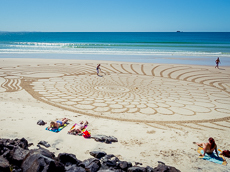 Byron is located on the far north coast of New South Wales, and is easily accessible from Ballina Domestic Airport (only 25 mins away), Coolangatta and Brisbane International airports (45 minutes and 2 hours respectively).